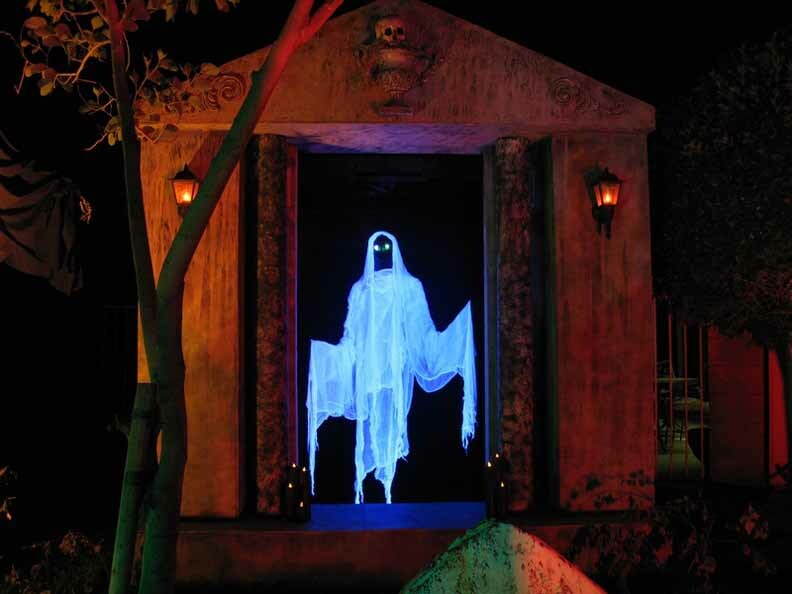 Description: The Simi Valley yard haunt - literally a decorated front yard, filled with skeletons, ghosts, and spiders - returns for Halloween 2012. Unlike most amateur attractions, this one opens the crypt early, unleashing its ghouls throughout the month of October. There are no real scares here: the dangling mechanical spiders over the front door may intimidate the very youngest trick-or-treaters, but other than that, this is just good spooky fun for the neighborhood.